GPS, PDAs, mobile phones on the way? Despite having trouble competing with its rivals in the PC market, Dell is reportedly ready to give the handheld market another chance after unceremoniously dropping out of it last year. The company is rumoured to have placed several orders with Asian manufacturers to produce mobile phones, PDAs and GPS devices. The sources suggest that the decisions by Acre and HP to invest huge sums of cash into the handheld business have given Dell no choice but to try again. Dell has yet to confirm the reports, but a decision to return to the handheld business would make sense. Almost twelve months after discontinuing its Axim PDA business, Dell hired Motorola's Ron Garriques to head up its consumer electronics division. But it has struggled to compete in an industry where manufacturing and selling PCs simply isn't enough anymore. 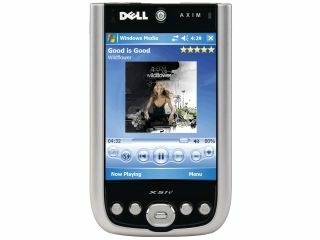 Dell has declined comment and given no indication that it has designs on the handheld business. However, considering Acer and HP have already made inroads, it seems likely that Dell will soon follow suit.